1906 Kimball quarter sawn Oak Cabinet Grand Piano. professionally refinished. 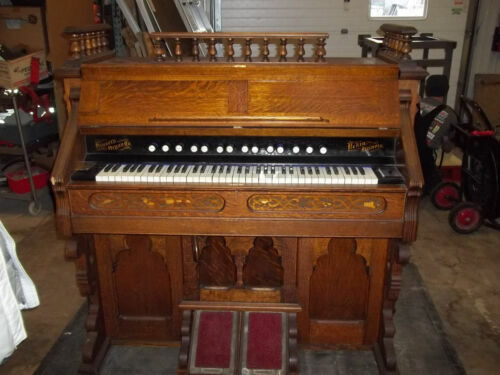 Vintage Oak Hinners Organ Co.